Good Harbor Beach, Gloucester: Reviewers rave that Good Harbor Beach is one of the best around. 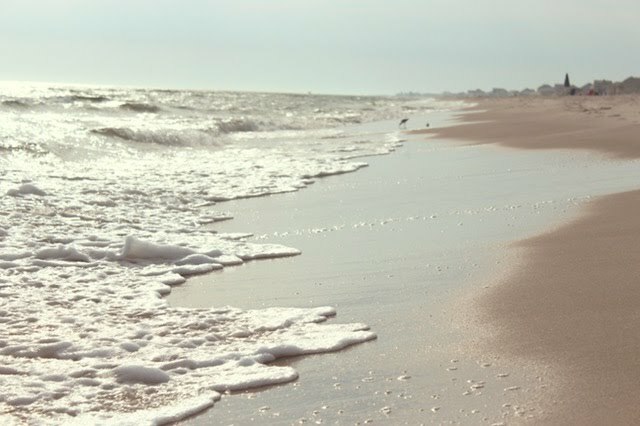 White, clean sand compliments the clear blue water of the Atlantic Ocean that washes ashore. Walk out to Salt Island at low tide, or put your boogie board in the water to catch some waves at high tide. 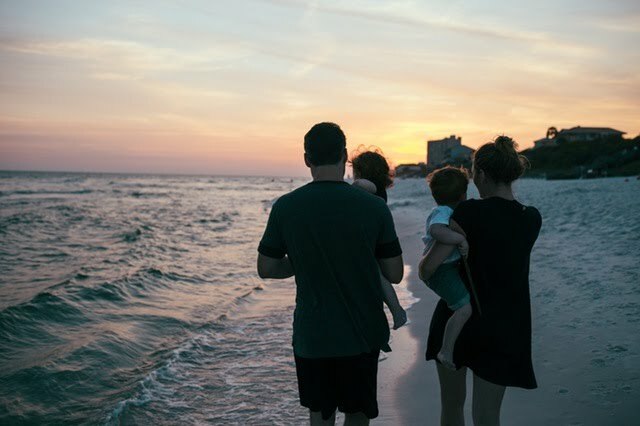 Either way, whether you’re going for a walk, building sandcastles, or swimming in the water, there’s something for everyone. Lifeguards remain on duty from Memorial Day weekend through Labor Day from 9am - 5pm daily. 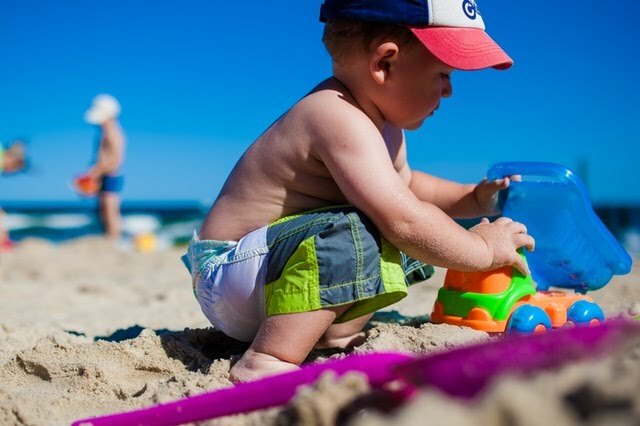 Food, drink, beach toys, and other helpful beach necessities are available at concession (with the exception of alcohol, which is prohibited), and restroom and shower facilities are available daily from 9am - 6pm. Inclement weather may cause facilities to close earlier than scheduled times. While parking is extremely limited, weekday parking can be obtained for $20 while weekend parking will run $25; gates open at 8am and close at 9pm. You can also get free parking if you park at the Stage Fort Park Visitor Center and take the free Trolley Shuttle to the beach. Surfing, inflatable objects, and all flotation devices are prohibited during hours when lifeguards are on duty, but Styrofoam boogie boards are allowed. In addition, Gloucester has a Carry In - Carry Out policy that requires guests to bring their own trash back from the beach, so it may be wise to bring a trash bag on the day of your visit. Wingaersheek Beach, Gloucester: This beautiful beach runs along the Annisquam River and Ipswich Bay in the western part of Gloucester. At low tide, the beach extends farther out exposing a long sandbar where visitors like to take walks. White sane and crystal clear water attract many each year, as well as the large rocks in the water that are fun to climb on. Tide pools form at low tide, becoming a perfect place for children to see snails, tiny fish, shrimp, hermit crabs, and other creatures up close. With calm waters, this is a perfect beach for small children. Parking is $20 per week per car and $25 on weekends, switching to $15 after 3pm. With limited availability, it is recommended to arrive early to secure a spot for your vehicle. The streets which connect to this beach are very narrow, so officials warn to obey posted speed limits and more slowly for the safety of beachgoers and yourself alike. Pro tip: a vendor is often available to purchase italiant ice. Lifeguards are on duty in seasons from 9am - 5pm daily. Food, drink, beach toys, and other beach items are available at concession in addition to restrooms and showers being available daily from 9am - 6pm. Crane Beach, Ipswich: A beautiful beach with clean water and pristine sand for recreation, Crane Beach also serves as a home for conservation. Coastal dunes and marsh can be seen throughout the land and the grounds are also home to the North Shore’s largest pitch pine tree forest. 5.5 miles of moderate hiking trails, part of the Bay Circuit Trail, track the beachfront on both the Ipswich Bay and Essex River Estuary sides of the Castle Neck peninsula. This beautiful land also provides one of the world’s most important nesting sites for piping plovers, a threatened bird that nearly went extinct from being hunted in the 19th century. Crane Beach has been nationally recognized for its successful shorebird protection program, asking visitors to avoid fenced nesting areas and wrack (line of organic washed-up debris where the birds feed and hide). The beach is open daily from 8am - sunset. In season, lifeguards and ranger patrol the park, bathhouses, picnic tables, water fountains, and other such amenities are available as well as access to the Crane Beach Store which stocks refreshments and merchandise. Salisbury Beach State Reservation, Salisbury: Arguably one of state’s most popular beaches, Salisbury Beach State Reservation stretches 3.8 miles along the Atlantic Ocean. All 521 acres of the park offer swimming, boating, fishing, and popular camping grounds with 484 sites. Visitors can also enjoy renovated bathhouses, extensive day-use parking lot, three comfort stations for the beach, new playground, and pavilion area. While the Salisbury Beach jetty is currently under construction and will be unavailable to the public until after November 2015, there is still plenty to visit this gorgeous beach for. Parking here is only $7; a great deal compared to some other locations. In an effort to increase beach preservation, visitors are also asked to not walk on the dunes as doing so can compromise their structural integrity and kill naturally growing plants. While swimming is permitted in the ocean, it is not allowed on the south side of the jetty or from the shore of the Merrimack River. Officials warn visitors to become familiar with and look for rip currents; knowing what to do if you get caught in one can be life saving. Lifeguards are on duty from 10am - 4:45pm Memorial Day through Labor Day weather permitting. Revere Beach, Revere: One of the most historical beaches, Revere Beach was the first public beach opened in America. Established in 1896, the area has since served as an entertainment hub for children and adults alike. Over the years, The Boulevard was home to dance halls, rides, movie theaters, carousels, and many special attractions. Today, the Revere Beach has stood the test of time and remains a popular spot for beach goers. Revere Beach faces Massachusetts Bay, five miles north of Boston, with its sandy edges forming a crescent along the ocean for miles. While some of the previously iconic locations have closed, the beach is home to the Revere Beach National Sand Sculpting Festival. Over 4 days, 20 sculptors from around the world compete by building breathtaking sculptures across the beach’s land. A popular event, families can expect live music, interactive kid zone, fireworks, amusement rides, and food trucks. Stop by this year from July 24th - 26th to experience the culture and history of one of the finest beaches around. Old Silver Beach, Falmouth: Known for it’s beautiful sunsets, the Cape Cod beach draws many visitors for its warm, clear water from Buzzards Bay. The beach itself is separated into two sections by a small rock jetty: one for residents with beach stickers, and another for the general public. Lifeguards, food, showers, picnic areas, and restrooms are among the amenities offered at this location. Though a relatively large beach, visitors should arrive early as it can get crowded quickly and early in the day. Limited parking is available for a daily fee of $20, while residents can pay $30 for a beach sticker. The Beach Department for Old Silver Beach also provides swimming lessons for children aged 4 years and older, as well as lifeguard training classes for those 15 years and older. 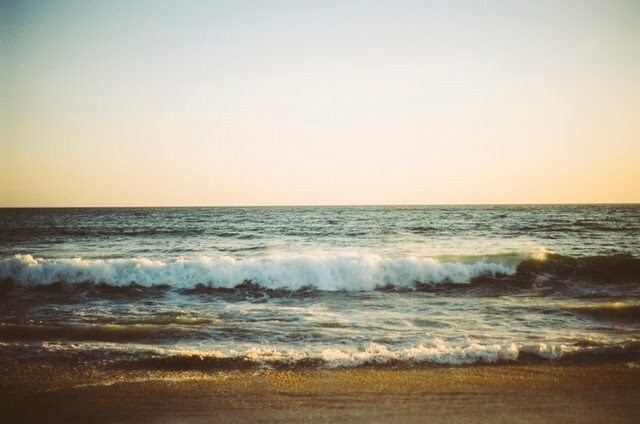 A tip from the department: high tide can make for strong currents, particularly near the jetty, so special care should be taken in the waters during this time. Mayflower Beach, Dennis: This gorgeous Cape Cod Bay beach is great for visitors of all ages. The calm atmosphere makes for adult enjoyment while children will love the shallow pools created all along the beach at low tide. Guests have access to food, restrooms, picnic areas, and a beautiful boardwalk that stretches from the large parking lot over the dunes to the sand below. Beach stickers are required to visit this and any other beach in Dennis, available for $300 per season for non residents. Resident stickers cost $40 and seasonal inhabitants can purchase stickers for $150. Only around for a short visit? A $75 weekly sticker can be purchased for those with temporary needs. More information on purchasing beach stickers can be found on the Dennis website. West Dennis Beach, Dennis: After Mayflower Beach, West Dennis Beach is arguably one of the most popular in the area. Spanning over a mile of shoreline, this location serves to be a great place for windsurfing, kite flying, and all sorts of both water and beach games. A playground is also available for children. The large adjoining parking lot holds more than 100, but the east end section is reserved for residents only. As another beach in Dennis, it adheres to the same entrance protocol as the Mayflower Beach. Guests can expect access to food, showers, restrooms, and boardwalk. Lifeguards are on duty during in season times. Water here is said to be on the warmer side, but rougher than that in some other beaches nearby with a bit more seaweed washing ashore than most. South Cape Beach State Park, Mashpee: A beautiful beach facing Nantucket Sound and Martha’s Vineyard, South Cape Beach is ideal for swimming, fishing, beach-goers, and walking. Several walking trails start at the beach, leading through forest grounds on the reserve property. During summer months, visitors can expect to pay $12 per MA plated vehicle and $14 for non-MA. Those with handicap plates are entitled to free parking, as are visitors over the age of 62. There are a wide variety of environments to be found here, including barrier beach and dunes, salt marsh, scrub oak and pitch pine woodland, and kettle ponds. Newly constructed boardwalks as well as clean bathrooms make this beach a lovely and secluded place to visit. Parking is limited, so it is advisable to get there earlier in the day. Guests can look forward to canoeing, boating, fishing, hiking, and swimming. Nauset Beach, Orleans: Known for its extensive length and beautiful sunrises, Nauset Beach in Orleans, Massachusetts is certainly one you won’t want to pass by. Guests can treat themselves to swimming or surfing in the big waves, excellent bass or blues fishing, and sunbathing. Not to be confused with Nauset Light Beach, Nauset Beach is a lengthy 10 mile expanse starting in Orleans and stretching out all the way into Chatham. The beach is available for off-road vehicles with proper permits. With a large parking lot, there is usually room for all, but occasionally will fill up when the weather is right. Residents park free, and non residents can expect $15 per day, weekly fee of $60 (one week), $110 (two weeks) and $125 for seasonal with lease and $175 seasonal no lease. A boardwalk, restrooms, showers, picnic area, and food are also available. A bit of a walk from parking to the somewhat steep beachy sands, this is certainly a place you won’t regret visiting. Horseneck Beach State Reservation, Westport: Nearly 600 acres of barrier beach and salt marsh make up this extremely popular facility registered to the Massachusetts State Forests and Parks system. The beach itself is 2 miles long, with warm water coming from Buzzards Bay. There is also an extensive 100 site campground behind the dunes near the eastern end of the reservation. Perhaps a bit rockier than some other Massachusetts beaches, reviewers recommend sandals being worn to help navigate the grounds. Seaweed can also wash ashore here, but isn’t overwhelming to the area. The reservation itself, with the combination of ocean, beach, and estuary habitat serve to be one of the premier birding locations in New England. Lifeguards are on duty in season, and refreshment amenities are available as well. Nantasket Beach, Hull: Another beautiful Atlantic Ocean hugging beach, Nantasket Beach in Hull, Massachusetts offers five miles of sand, harbors and bays making for a beautiful day no matter when you choose to visit. With the beach being so wide open, it is often easy for guests to find ample privacy and peace during their visit. Clean sand and gentle waves makes this a great beach for people with children, or even though looking for a calm swim. Street parking is available but can fill up quickly, but nearby lots offer parking for menial costs. The surrounding area boasts a bounty of restaurants, a fun arcade, hotels, mini golf, ice cream, and more. Visitors recommend not only the neighborhood carousel, but suggest sticking around for a can’t be missed sunset! Whatever beach you choose to visit this summer, be sure to bring plenty of sunscreen! Dwell360 is a boutique residential real estate firm based in Newton, Massachusetts, servicing the cities and suburbs of metro Boston. Dwell360 is a leader in in luxury real estate throughout the Boston, Brookline, Newton, Needham, and select other communities of metro Boston. Search for homes in Massachusetts and then give us a call. City of Gloucester. Good Harbor Beach in Gloucester, MA. Retrieved from http://goo.gl/jVoXT8. The Trustees of Reservations. About Crane Beach on the Crane Estate. Retrieved from http://goo.gl/XkJ5r8. RevereBeach.com. History Overview. Retrieved from http://goo.gl/Ude35O. OnCape.com. Old Silver Beach. Retrieved from http://goo.gl/zLNsiV. Energy and Environmental Affairs. Salisbury Beach State Reservation. Retrieved from http://goo.gl/Kpx9ER. Salisbury Beach. Salisbury Beach. Retrieved from http://goo.gl/fEIADW. OnCape.com. Mayflower Beach. Retrieved from http://goo.gl/6RtTGw. Beach Department. Dennis, Massachusetts. Retrieved from http://goo.gl/ny37bm. OnCape.com. West Dennis Beach. Retrieved from http://goo.gl/x1Pswn. Yelp.com. West Dennis Beach. Retrieved from http://goo.gl/UNCEbr. Energy and Environmental Affairs. Horseneck Beach State Reservation. Retrieved from http://goo.gl/KgEYAE. Yelp.com. Horseneck Beach State Reservation. Retrieved from http://goo.gl/vpMaK1. Waquoit Bay National Estuarine Research Reserve. South Cape Beach State Park. Retrieved from http://goo.gl/arwd9H. Energy and Environmental Affairs. South Cape Beach State Park. Retrieved from http://goo.gl/G0sJcK. OnCape.com. Nauset Beach. Retrieved from http://goo.gl/Q6PLjo. Hull Nantasket Chamber of Commerce. Nantasket Beach - Just one wave from Boston!. Retrieved from http://goo.gl/lthqzn. Yelp.com. Nantasket Beach. Retrieved from http://goo.gl/L2fIAA. Images licensed under Creative Commons Zero on Pexels.com.